Provides an opportunity for students to develop tools to prepare themselves for academic, employment, and personal success. Specific emphasis on academic and career goal setting, resources, and success strategies. Topics include study skills, goal-setting, college policies and resources, programmatic requirements, and accessing local and state resources, academic and career planning, time management, relationships, and self-empowerment. This course may be offered at one or two credits and elements will vary depending upon the number of credits. Designed to Serve Designed to meet the needs of students enrolling in the ACHIEVE program. 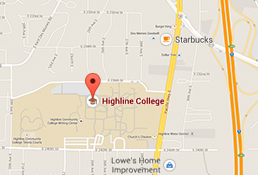 Students will accurately explain how the student code of conduct pertains to them at Highline college.